As the forsythia blooms and the narcissus flower their gorgeous heads off, something more ominous pokes up from the grass: signs warning that lawns have been sprayed with chemicals. I am completely, totally and rabidly opposed to the use of chemicals on lawns. This practice was outlawed years ago in Quebec, where I originally come from, and lawns there look just fine. When I was young, (back in the Paleolithic) people just spread topsoil on their grass every spring. This nourished the soil and produced healthy, resilient turf. There was no such thing as a “Four Step” program either. If the applicator has to post signs warning the grass is not safe to walk on for at least a couple of days after an application, what do you think those chemicals are doing to the insects, birds and animals, including pets, that might be foolish enough to land on it? And what do you think those chemicals do to the ocean when they run off into the water – which we just happen to be living right next to????? They also kill most of the beneficial microorganisms living in the turf and the soil, creating a less resilient, chemically-dependent lawn. Our lawn is thick and green and all we do is mow it. Our neighbors spray theirs, and it’s not as green as ours. I deliberately allow dandelions to flower on our lawn, just for the satisfaction of seeing them pop up on my neighbor’s side, because I know it drives her crazy. We have enough chemical pollutants in our world. 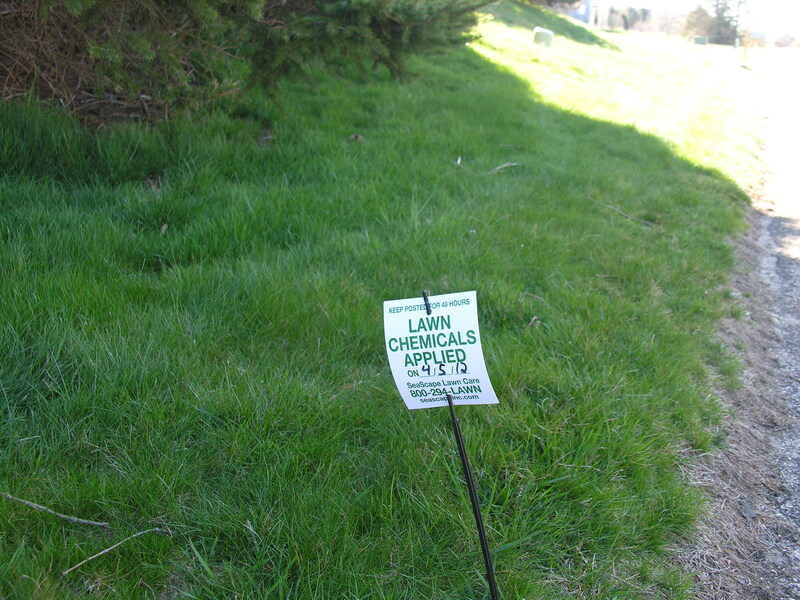 Is it necessary to add more of them just because some chemical company told you that your lawn would be better for it? These companies have managed to convince homeowners that they MUST control evils such as the dreaded CLOVER. What in heaven’s name is wrong with clover? I like clover and the bees it attracts. The more the better, I say. I have already received several fliers in my mailbox from “lawn care” companies, trying to get me to buy their nonsense. No sale here, that’s for sure. 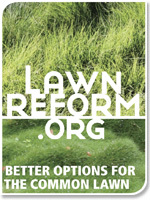 For more information on how to have a beautiful AND sustainable lawn, check out Safelawns.org. Go the dandelions! We have dandelions WITHOUT the lawn. Why can’t YOU be my next door neighbor? I agree with you completely. I am originally from Quebec, so I know about those laws. And even here in Ontario where I live now, there is a ban on these chemicals. Our lawn looks just fine, and I don’t have to worry about all the insects and birds being poisoned. I also don’t have to worry about a neighbour’s poison coming over to my side. The less chemicals we use, the better for all living things. I will never understand how someone can think his/her lawn is more important than the surrounding ecosystem. To me, this is the epitome of ignorance and selfishness – even more heinous, perhaps, in a community by the ocean.